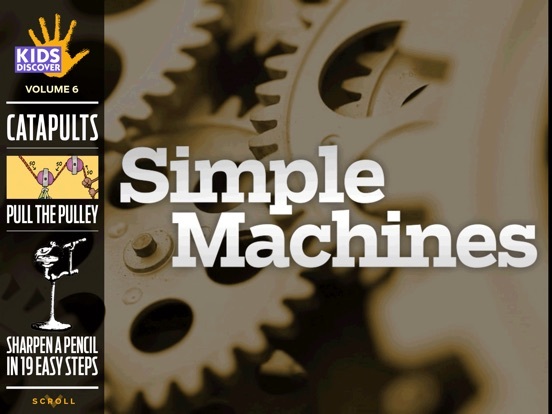 Simple Machines by KIDS DISCOVER is a brilliantly designed app that keeps both kids and adults longing to learn more. 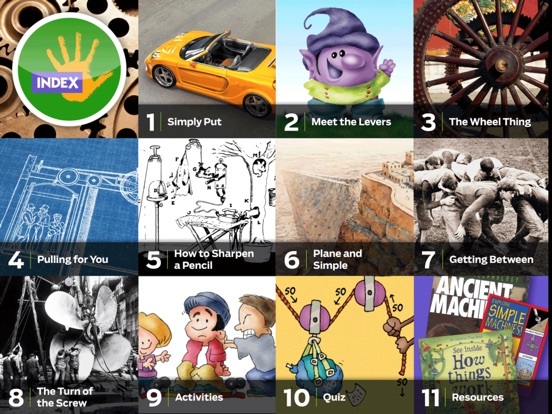 This is a large app filled with animations, activities, vibrant images and more facts about simple machines than you probably remember learning when you were in school. 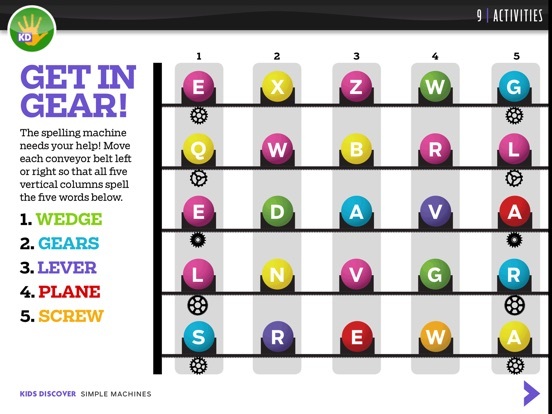 Activities in the app include puzzles, a mind-bending spelling machine, ideas for simple machines you can make at home and a quiz to see how much you have learned. 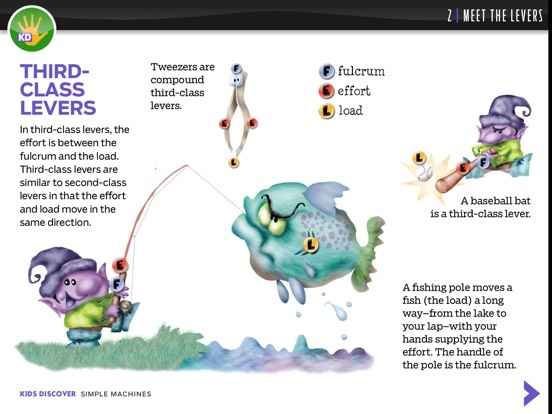 This app doesn’t have the text read aloud, but our curious kids didn’t seem to mind making all kinds of meaningful connections from the pictures when we weren’t able to read aloud.